Abercromby Nursery School ensures children learn in a safe, caring and enriching environment. Children are taught how to keep themselves safe, to develop positive and healthy relationships, how to avoid situations where they might be at risk, all in an age appropriate way. We also support parents to keep children safe at home. 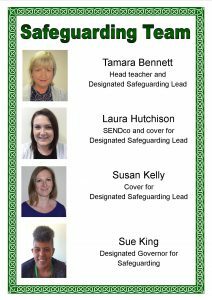 We listen to and work closely with our staff, families and children so that everyone feels safe and protected in our school environment. Where appropriate, we will work with other agencies to provide support to anyone who needs it.